After a Tony Award-nominated stint on Broadway, the sensational smash-hit Motown the Musical plays at London's Shaftesbury Theatre. Originally opening at the London venue in February 2016, the show has gone on to receive huge acclaim, playing to packed-out audiences. 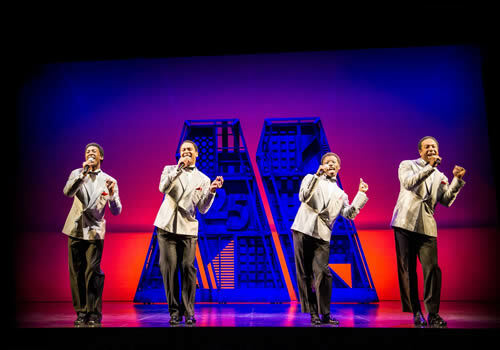 Motown the Musical is the phenomenal jukebox musical based on the true story of Berry Gordy, founder of the Motown record label. With a simple $800 dollars from his family, Gordy went on to found the label, launching the hugely successful careers of talent including Diana Ross and the Supremes, Michael Jackson and the Jackson 5, Stevie Wonder, Smokey Robinson and the Miracles, Marvin Gaye, The Temptations and many more. 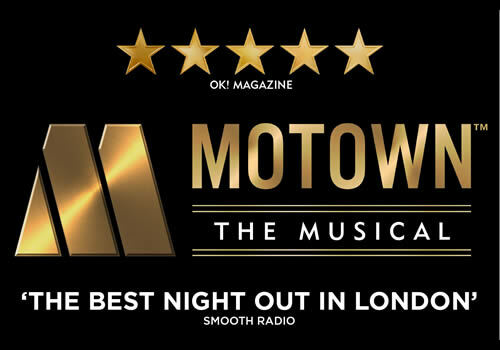 Featuring over fifty Motown hits including “My Girl”, “Ain’t No Mountain High Enough”, “I Heard It Through The Grapevine”, "Dancing in the Street", "I Want You Back" and more, the musical is the West End sensation that brings to life the vibrant and real characters of the famous Motown era. 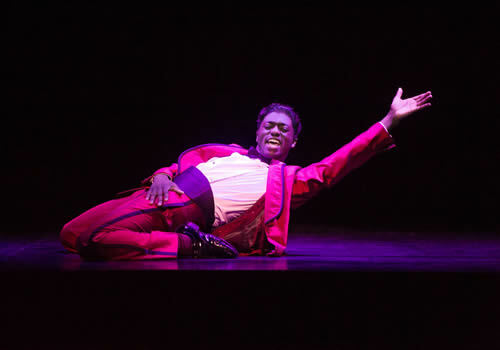 Casting includes Jay Perry as Berry Gordy, Natalie Kassanga as Diana Ross and Carl Spencer as Marvin Gaye, with David Albury as Smokey Robinson. Further cast members include Chanice Alexandra-Burnett, KM Drew Boateng, Timothy Benjamin, Ryan Carter, Ricardo Castro, Amandla Elynah, Livvy Evans, Segun Fawole, Angela Marie Hurst, Cameron Bernard Jones, Cleopatra Joseph, Duane Lamonte, Nathan Lorainey-Dineen, Mireia Mambo, Matt Overfield, Adam Philpott, Ainsley Hall Ricketts, Lawrence Rowe, Nate Simpson, Jaime Tait, Kyle Turner, Anna Van Ruiten, Cherelle Williams, Lashane Williams, Michael Woolston-Thomas, Jayme-Lee Zanoncelli and Mitchell Zhangazha. 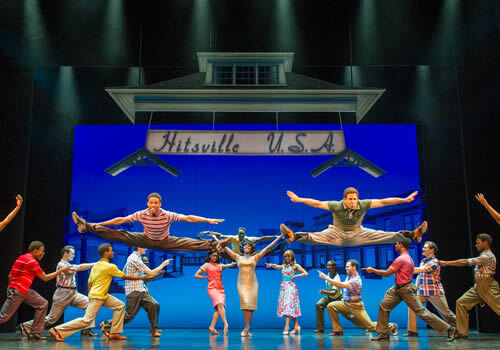 Motown the Musical features a book by Berry Gordy and is directed by Charles Randolph-Wright, with choreography by Patricia Wilcox and Warren Adams, musical supervision by Ethan Popp, design by Esosa, lighting by Natasha Katz and sound by Peter Hylenski. 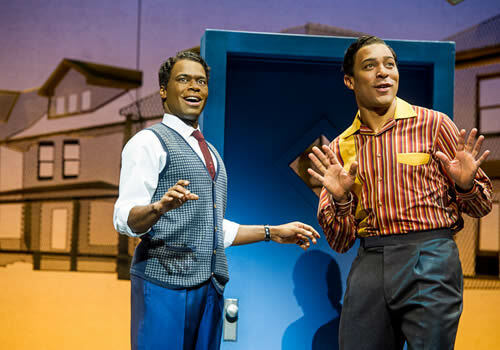 Playing an extended season in the West End, Motown the Musical continues to wow audiences at London's Shaftesbury Theatre. Children under the age of 5 will not be admitted into the theatre.